Spring was in the air with pretty mild temperatures..............not a great day for photos but a fair selection of birds about including White Tailed Eagle, White Winged Scoter and Smew. 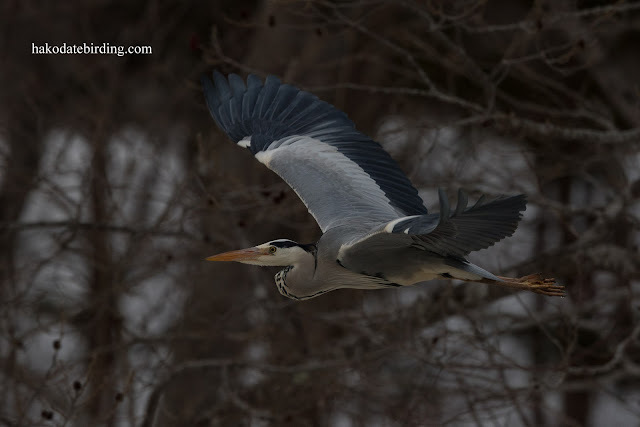 At Onuma the ice is slowly receding and a couple of Great Cormorants were back, another sign of spring. Spring has arrived here too with a new species showing up each day almost. It's an early spring here, this winter has been very very mild, hope it's just a blip. You must be really looking forward to spring. I'd love to see a Smew! GW Gulls are quite attractive - for gulls! 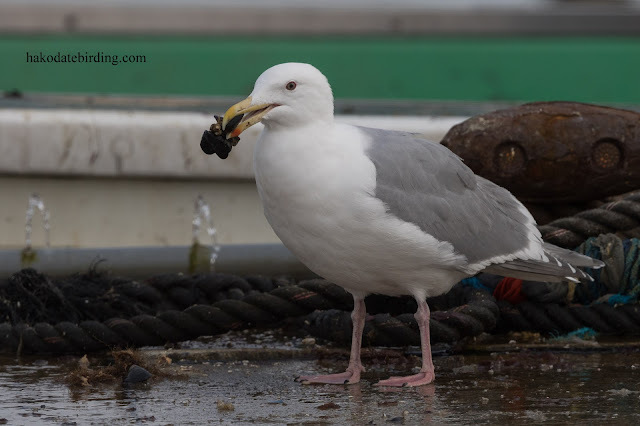 Actually most large gulls look much better in spring, their facial expressions seem to soften.............why do they look so evil/grumpy in winter? Lots of Black Headed ( should be chocolate brown headed)gulls in summer plumage here after a very mild winter. 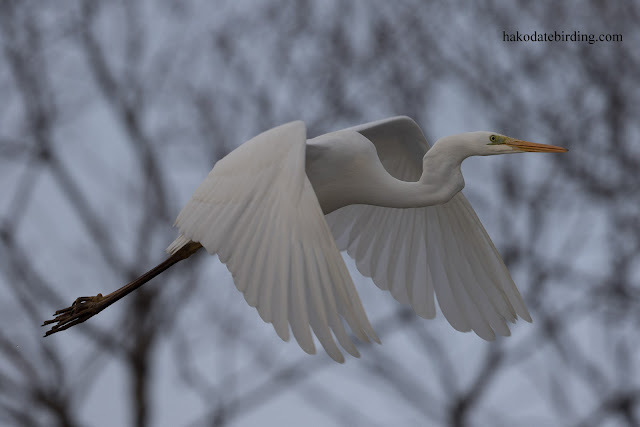 They don't pass through here until next month, they do look strangely exotic though...............they're only passage migrants in Hokkaido and we only see them in summer plumage very briefly. I was watching gulls here in Niigata last weekend. 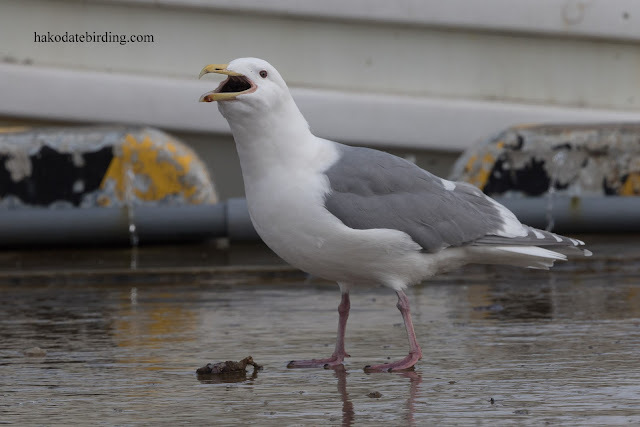 Only march and April are good times to see Black-headed Gulls. Some are in non-breeding mose while others are just beginning to transform. I'm hoping to get pictures of the process.